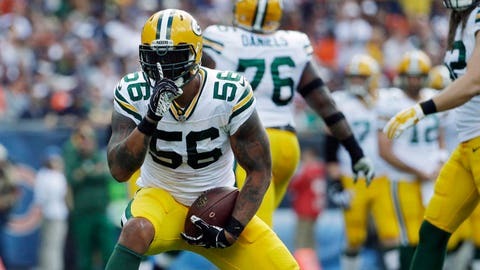 Green Bay Packers linebacker Julius Peppers is headed to the Pro Bowl after racking up 10.5 sacks this season. Green Bay Packers linebacker Julius Peppers has been added to the Pro Bowl roster in place of Von Miller, whose Denver Broncos advanced to the Super Bowl on Sunday afternoon with a win over the New England Patriots. A nine-time pro bowler, this is Peppers’ first trip to the Pro Bowl as a member of the Packers. Peppers racked up a team-leading 10.5 sacks, as well as 42 tackles and two forced fumbles this season, his ninth season with 10 or more sacks, a figure that is tied for ninth all-time alongside Carolina Panthers pass rusher Jared Allen.